She stormed the air waves with "I Don Did It". She whirled Naija music industry with her flows and leaving everyone with an impression that she's plying that route less plied by female artists. Rap. She got signed on to Eldee's record label, Trybe Records. It's just five (5) months down the lane and both parties are already calling it quits. Below is the official press release from Trybe Records. 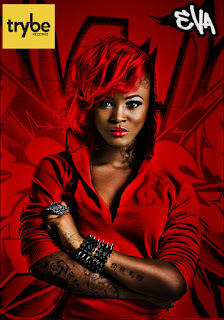 Trybe Records and Eva Alordiah have agreed to terminate her recording contract effective immediately. Trybe Records’ vision is to discover and nurture the talents of our artists while operating with purpose, valuing relationships with our partners within the industry, and being persistent in creating and releasing quality music. Unfortunately, over the past 5 months, Eva’s vision has not aligned with ours and thus, both parties have agreed to separate. We wish Eva the best in her future endeavors and plan on continuing towards our goal of creating quality music for Nigeria and beyond. *Watch this space for more stories developing on this press release.